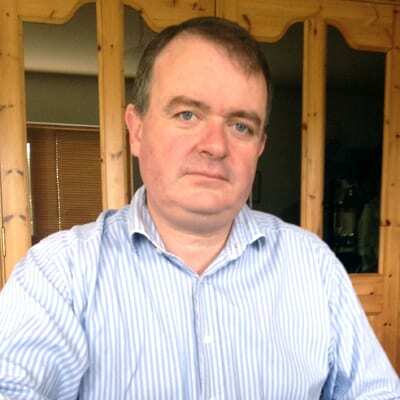 Patrick O Flaherty is a business consultant and Enterprise Ireland mentor. He is a qualified Chartered Accountant, and started his career at Ernst & Young – specialising in Entrepreneurial Services, which was targeted at startups and developing businesses. During the 90s, Patrick worked for E&Y in Eastern Europe – where he helped to develop businesses in the telecommunications industry. Following that, he spent some time in London, where he was involved with a fintech startup. On his return to Ireland, Patrick took up the role of Finance Director for a successful Irish startup, where he stayed for a number of years. In 2008, Patrick became involved with the Enterprise Ireland mentor programme, working with clients on areas such as financing and funding, as well as business development and internal structures and processes. His particular areas of focus are projections, business plans, costings and pricing. When he isn’t mentoring, Patrick works as a change consultant. His consultancy, Patrick O Flaherty Accountancy Services, works with both restructuring companies and startups – developing and implementing business plans and development strategies that facilitate change and growth.